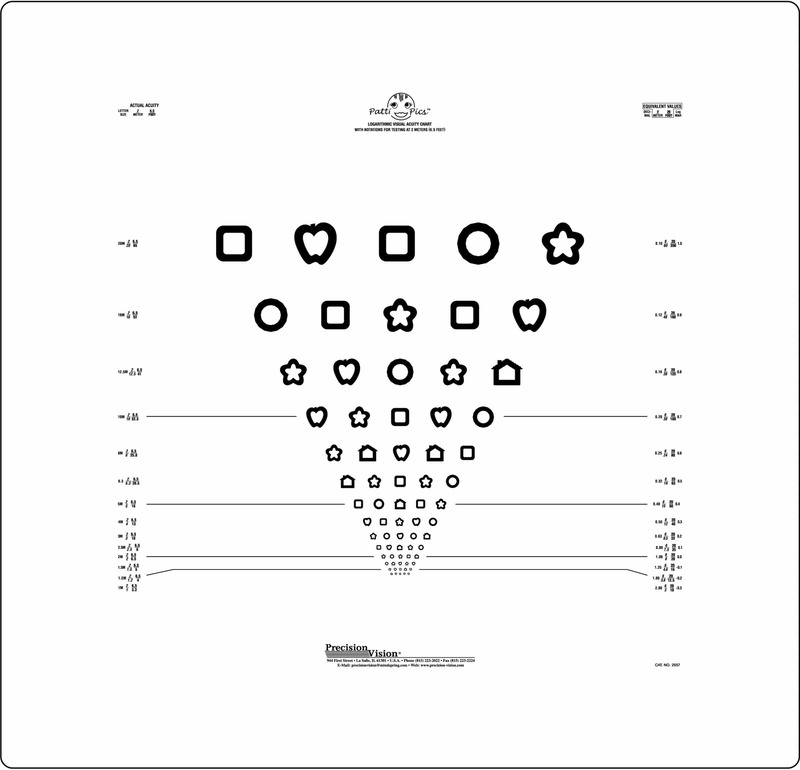 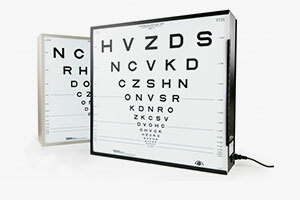 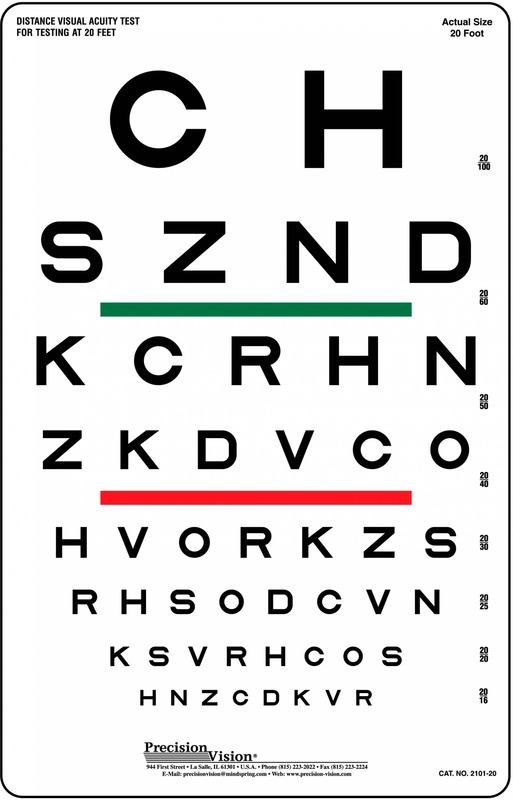 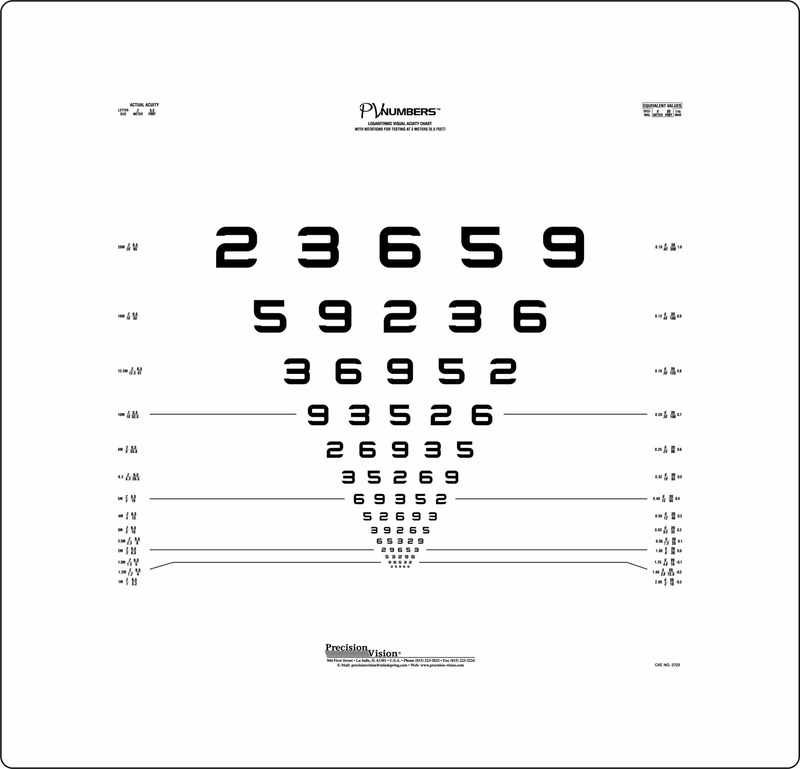 Precision Vision offers a huge variety of high contrast ETDRS eye charts to suit all of your vision testing needs. 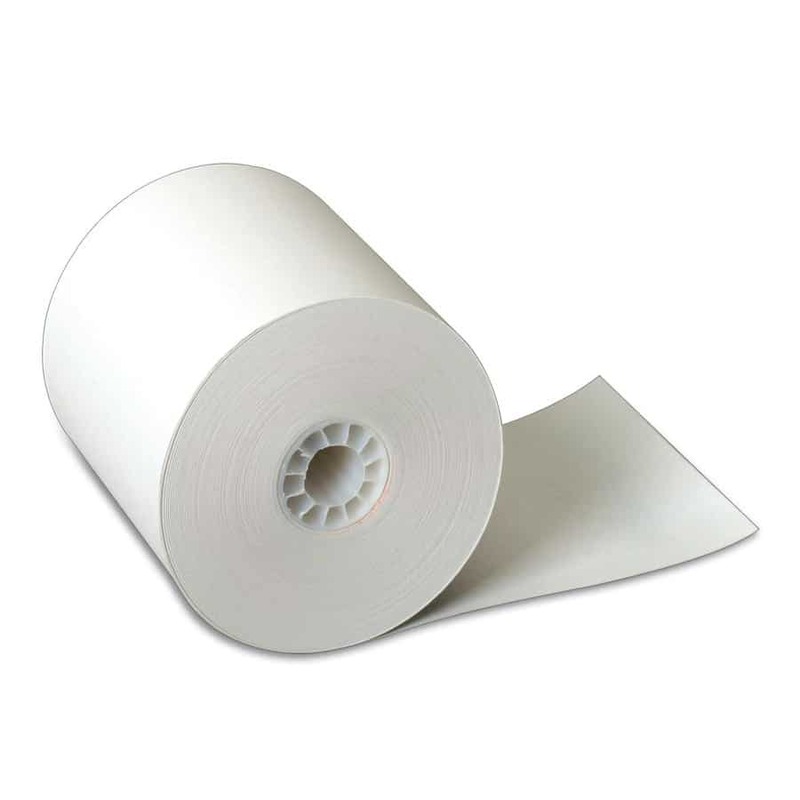 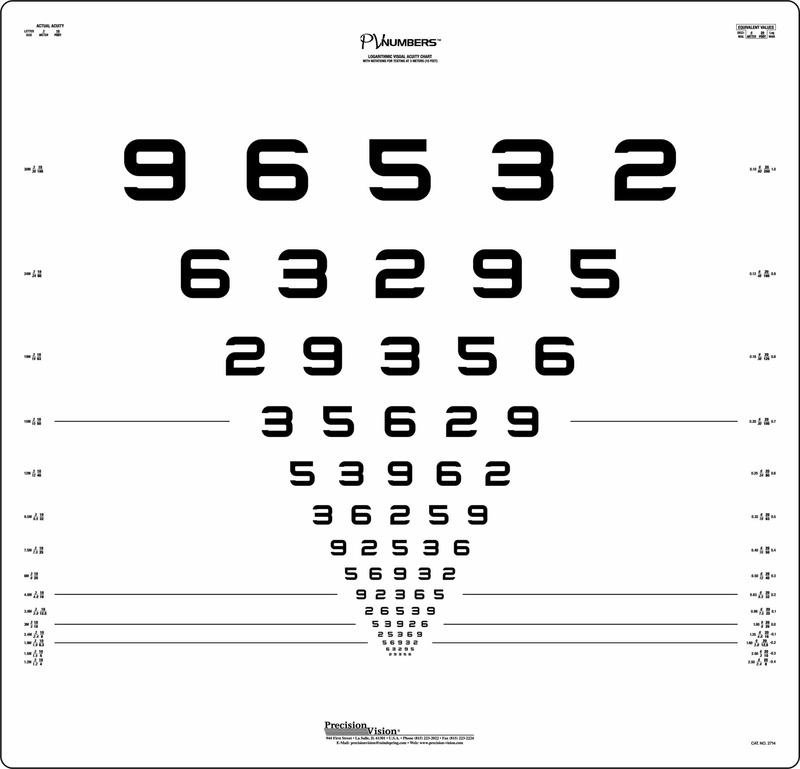 Our charts measure distances from 2 to 4 meters, each carefully calibrated for accurate and reliable vision records. 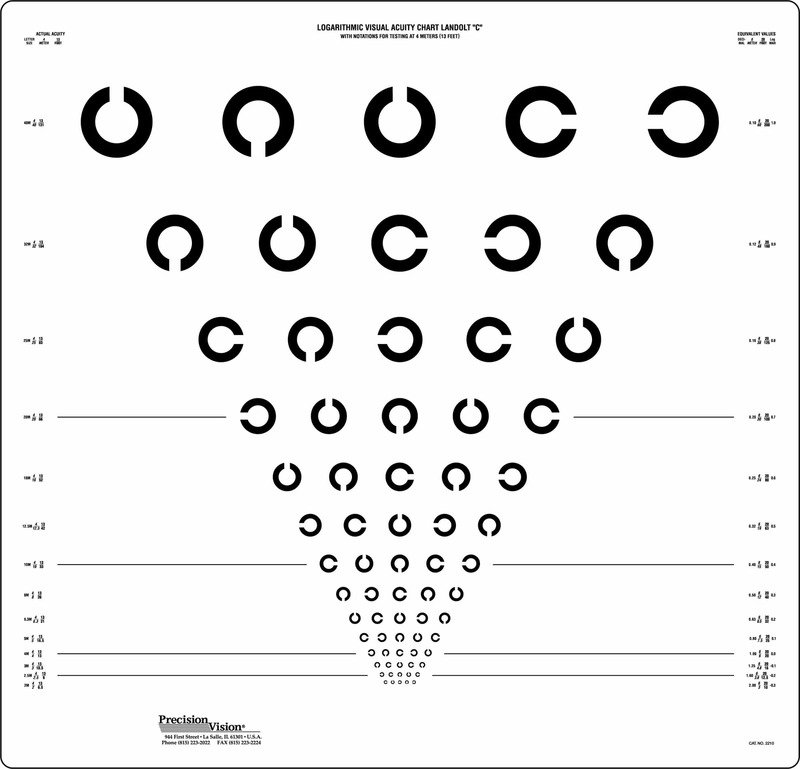 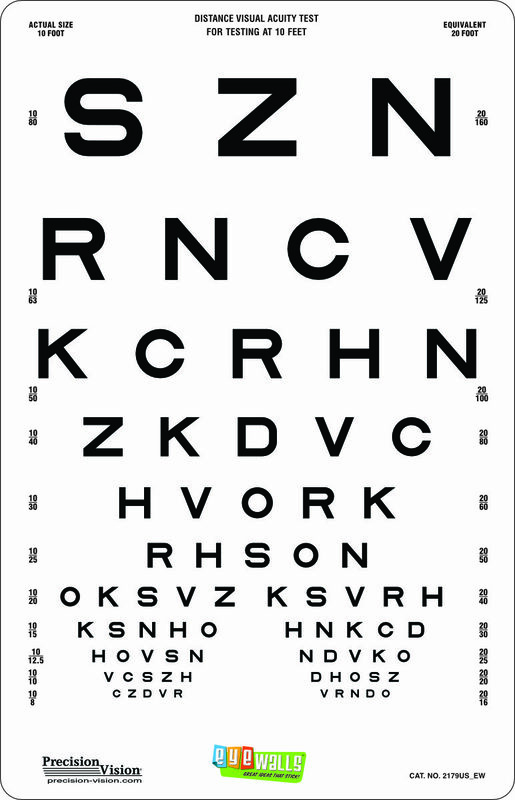 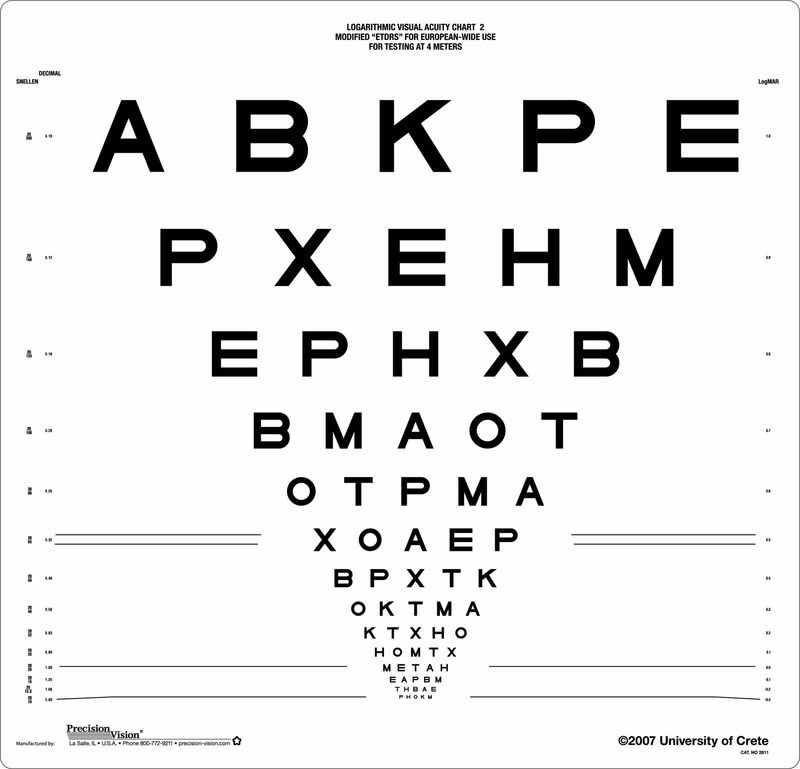 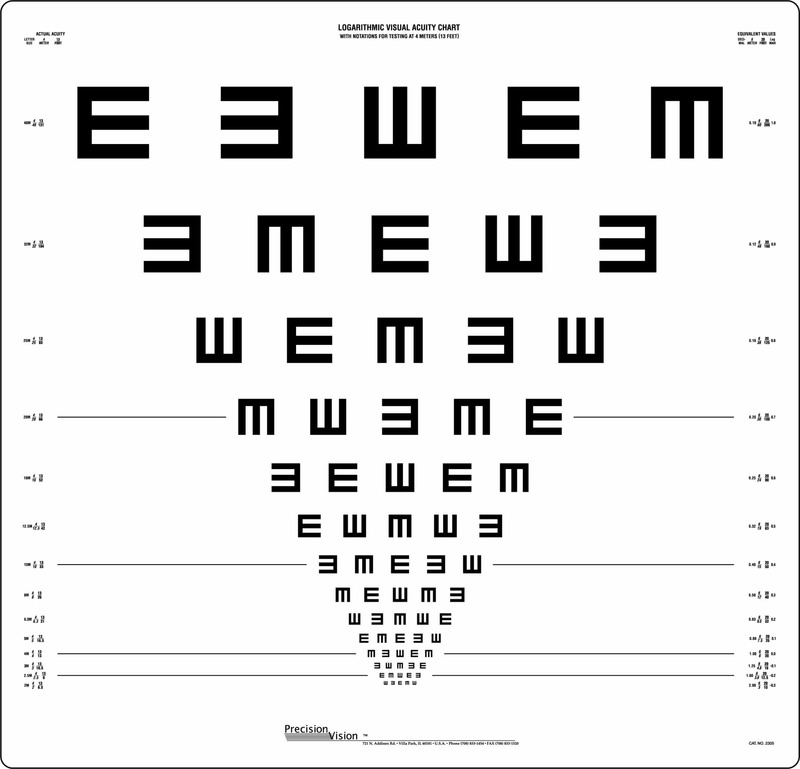 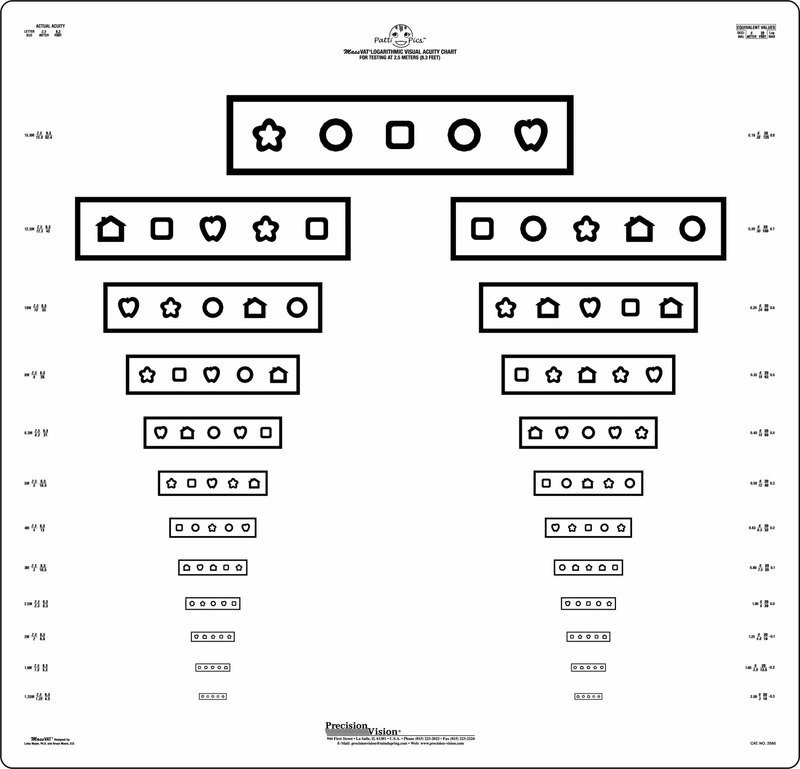 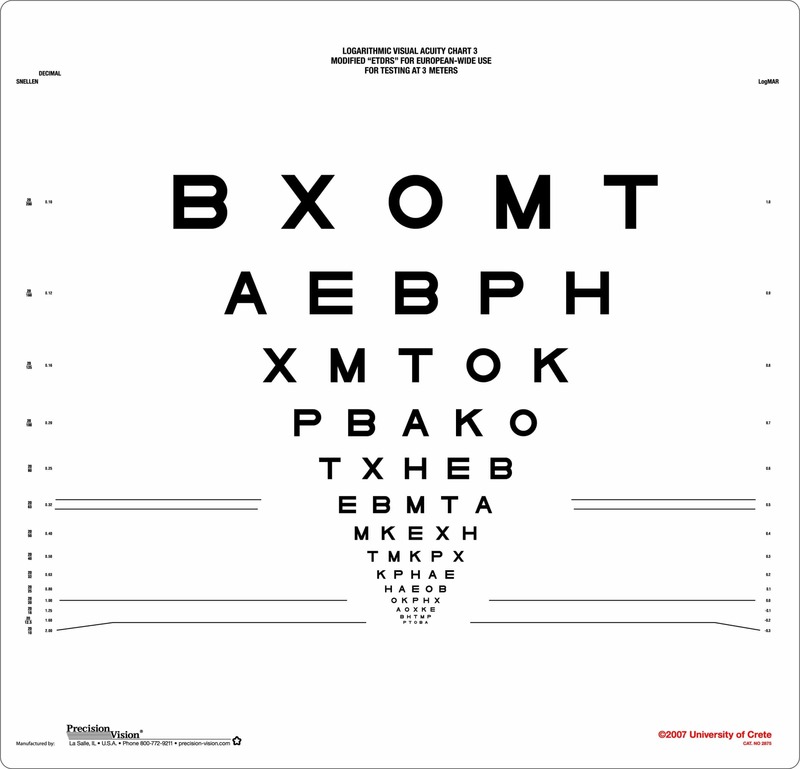 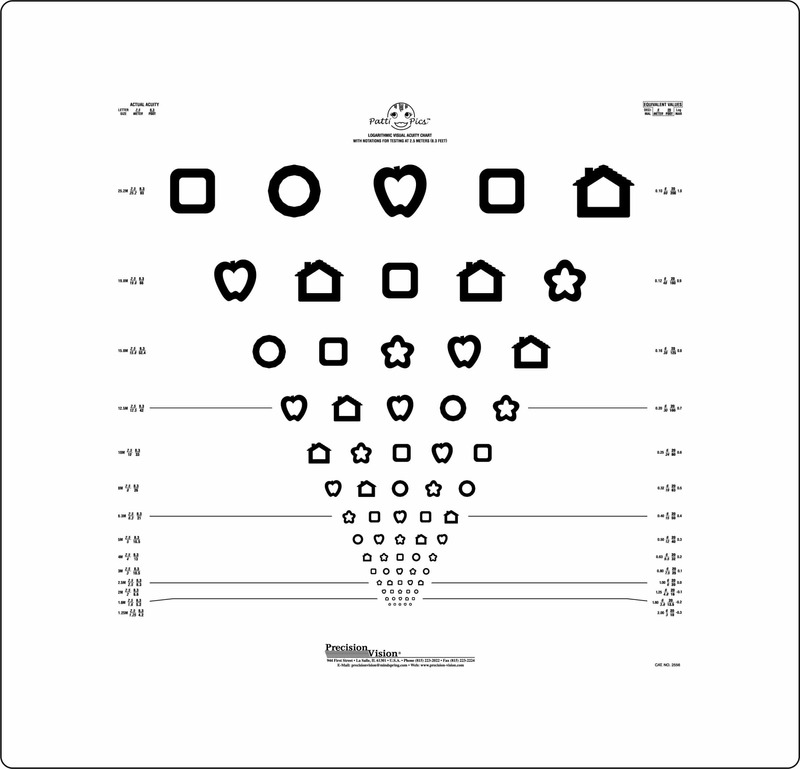 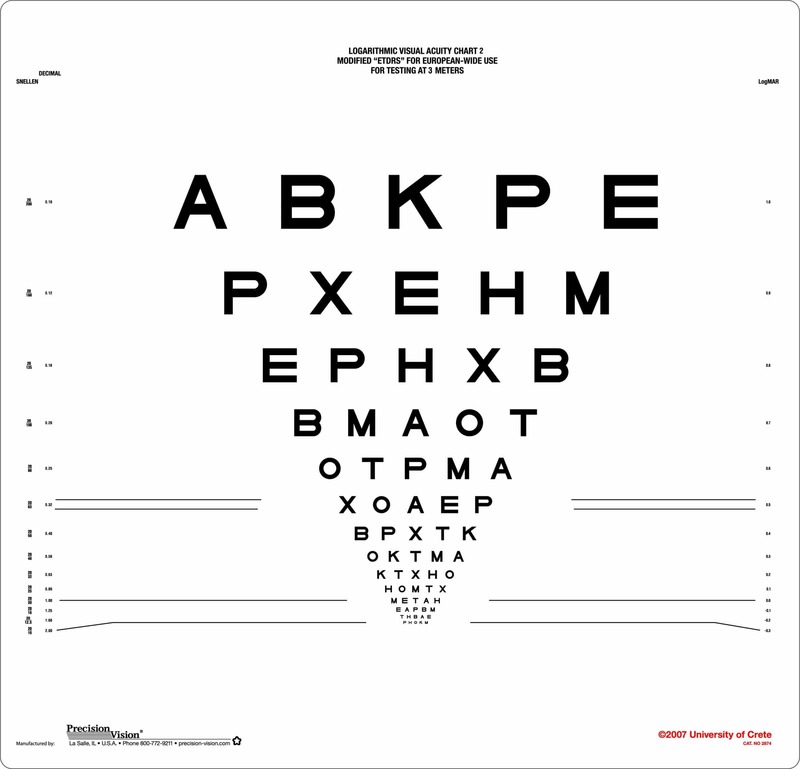 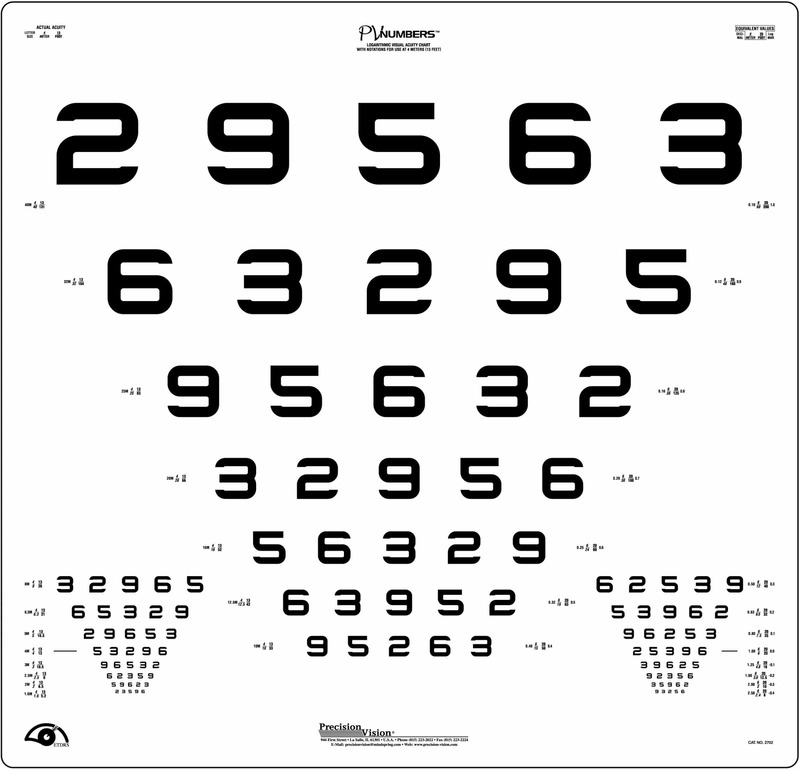 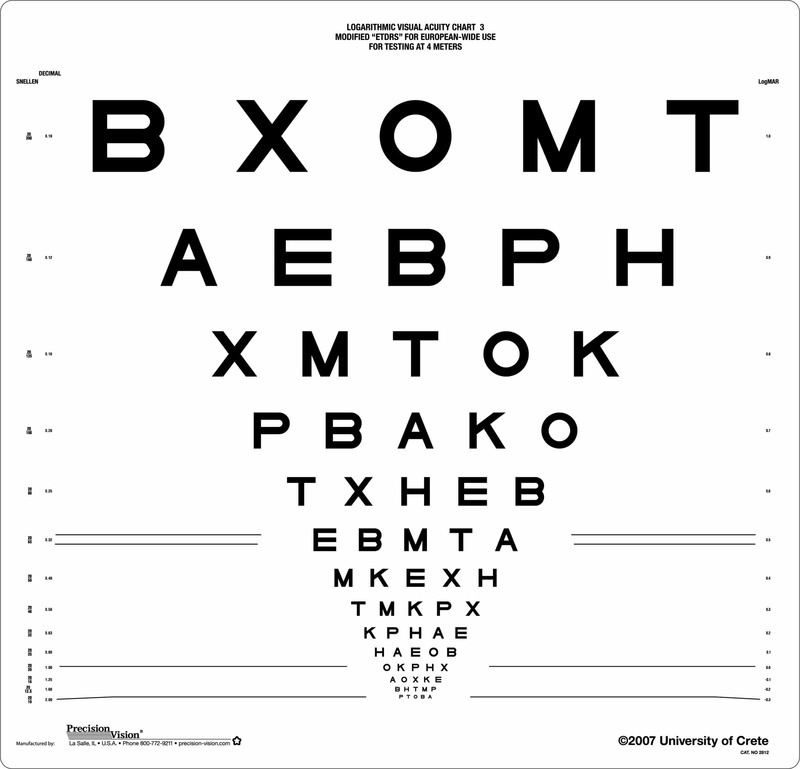 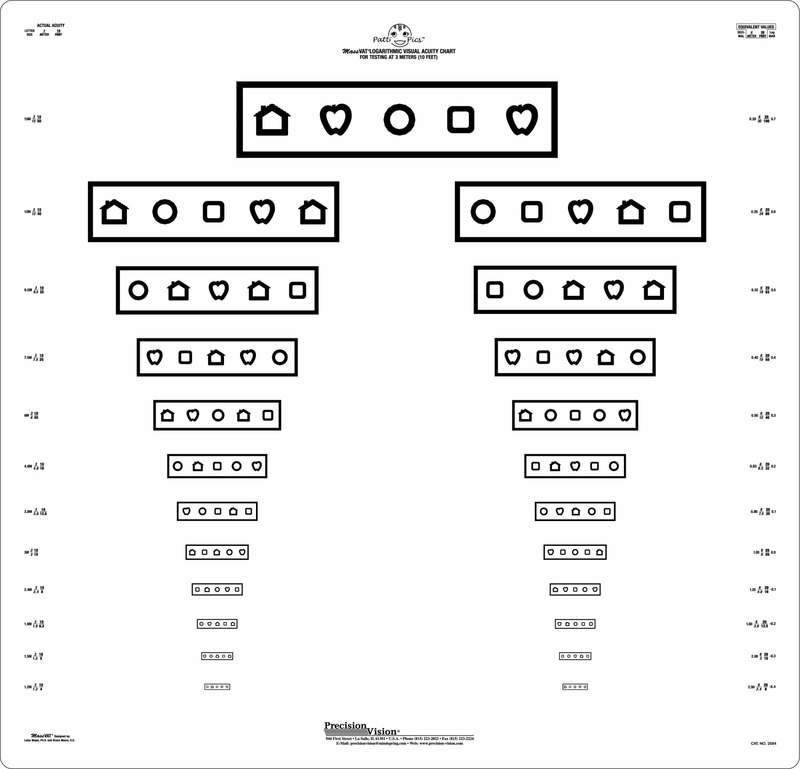 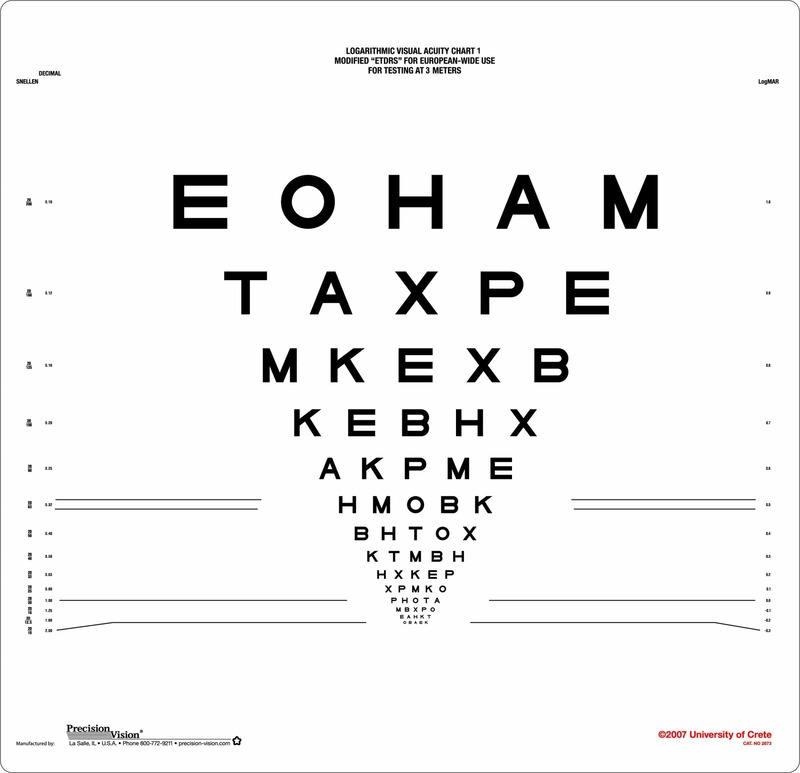 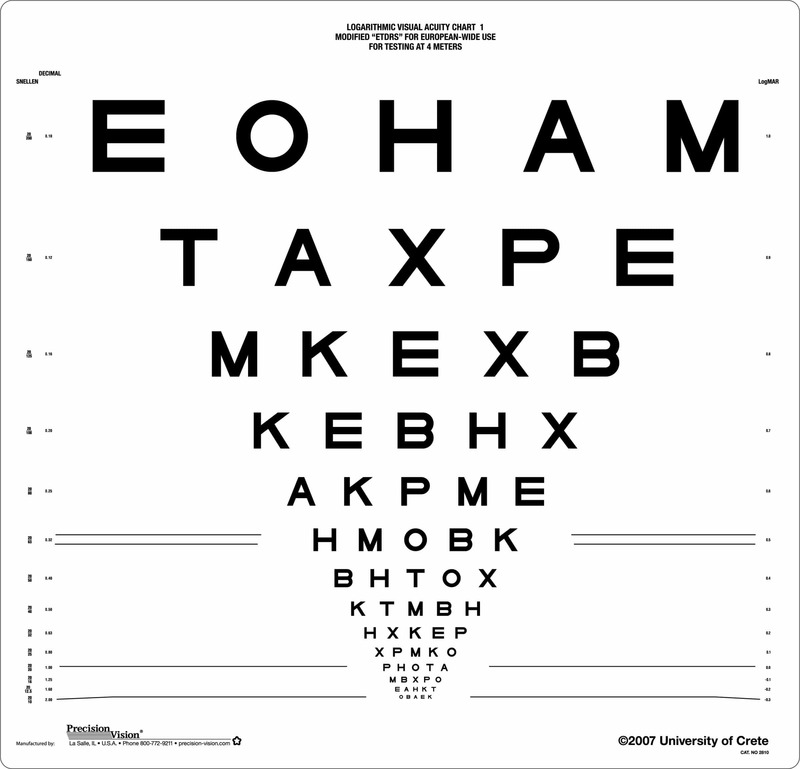 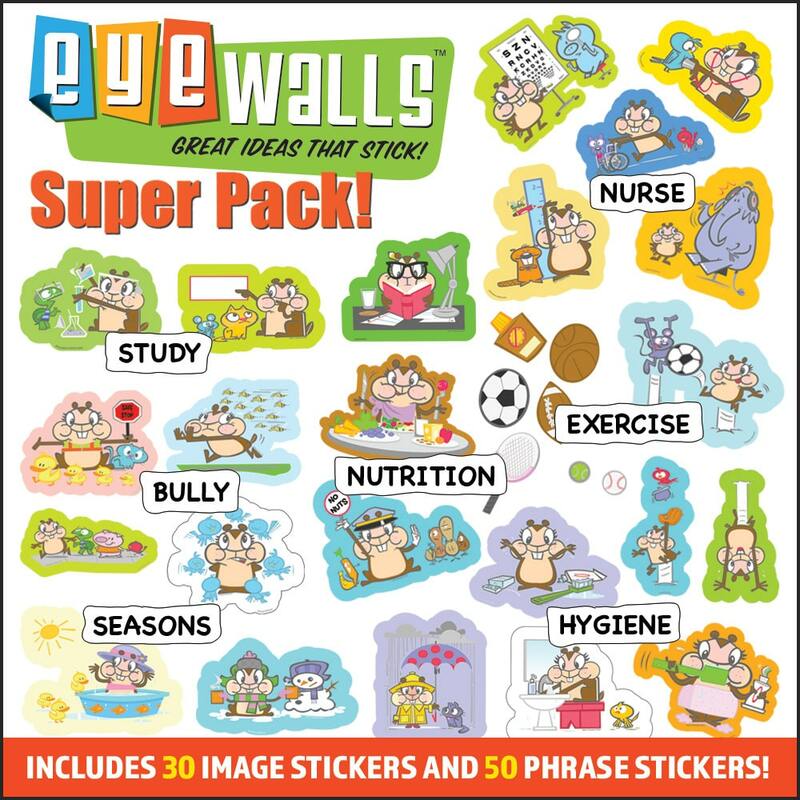 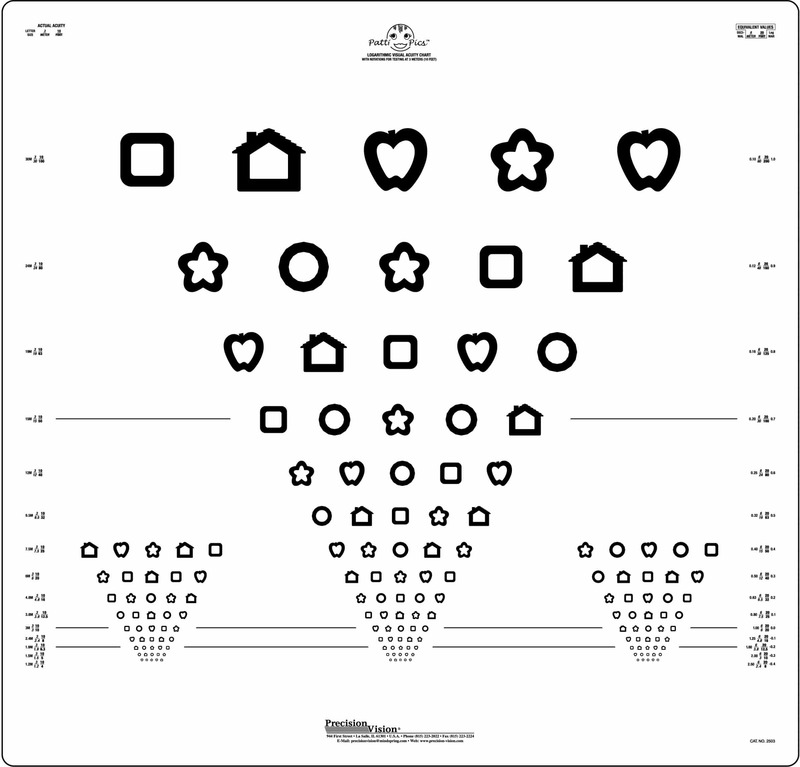 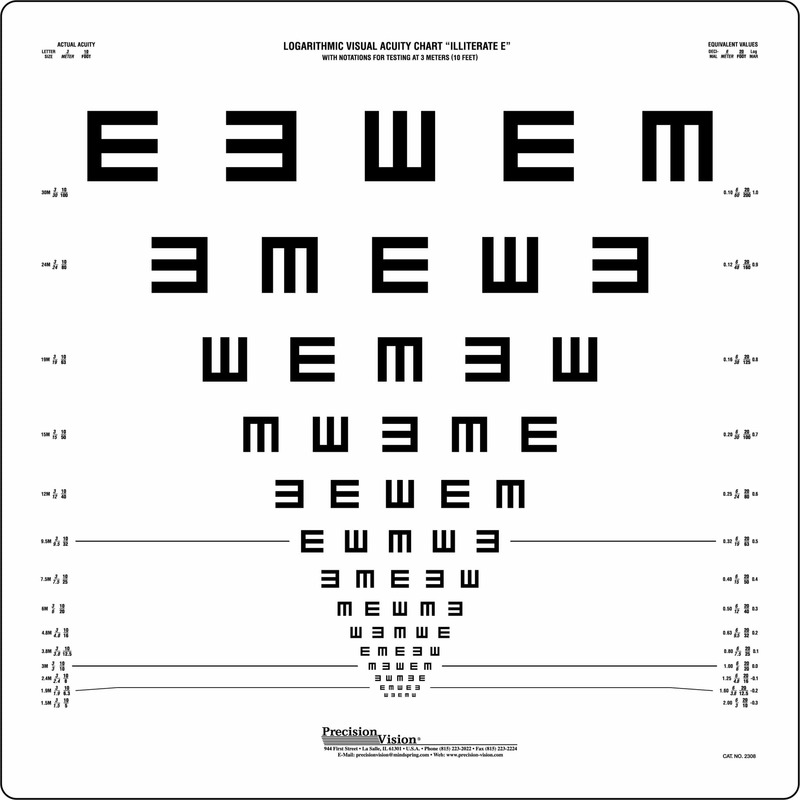 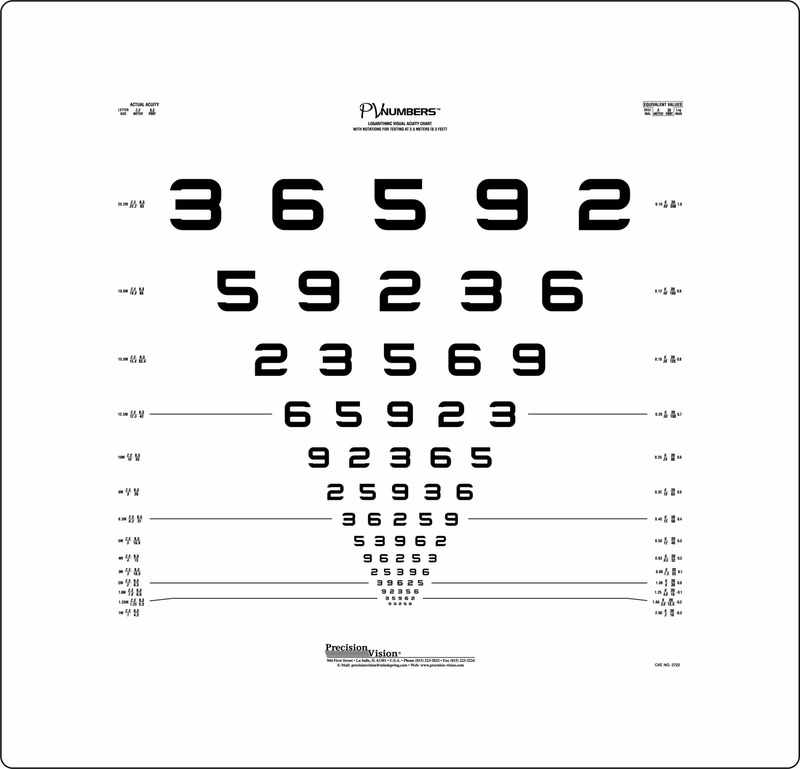 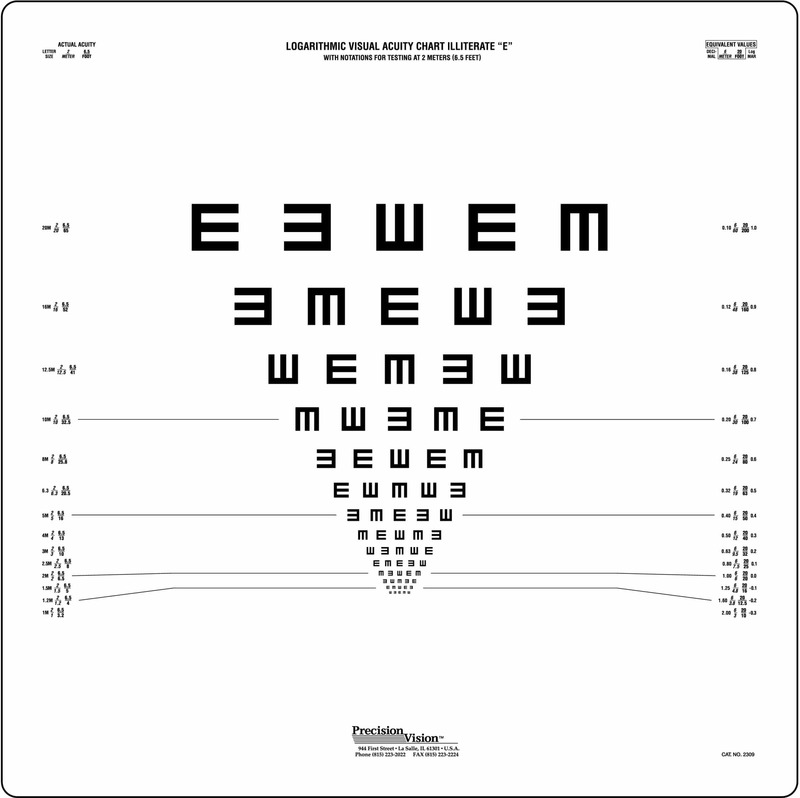 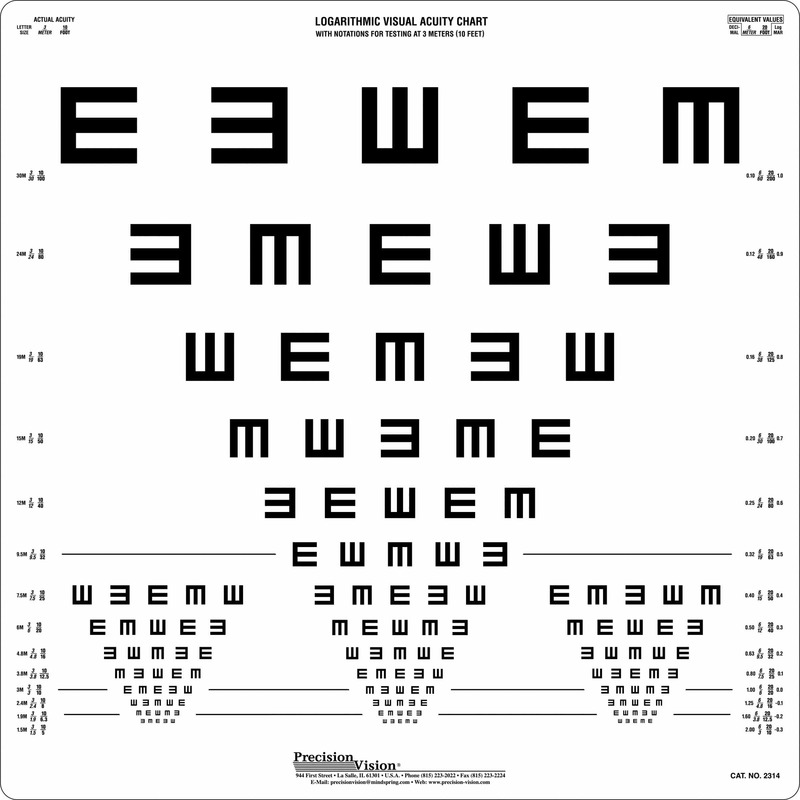 High contrast eye chart selections include numbered charts or a variety of symbols to accommodate any language or situational need. 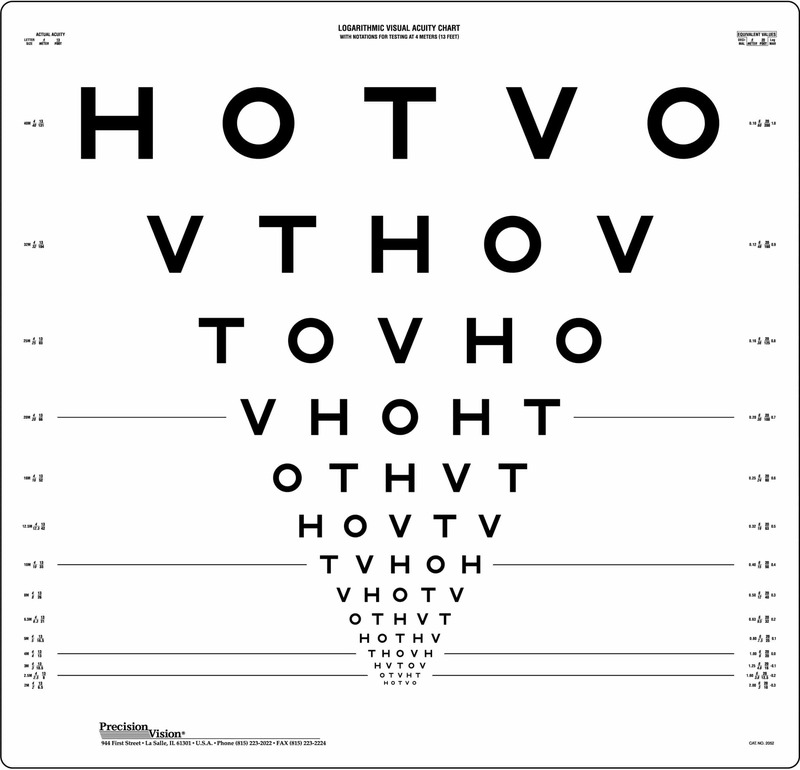 Because all of our charts follow the same high standards, testing will remain uniform for your patients through years of vision testing.